Maybe we should've known that the inevitable consequence of losing Google Reader would be paying for something else—Or, at least, the option of paying for something else. The day has arrived. 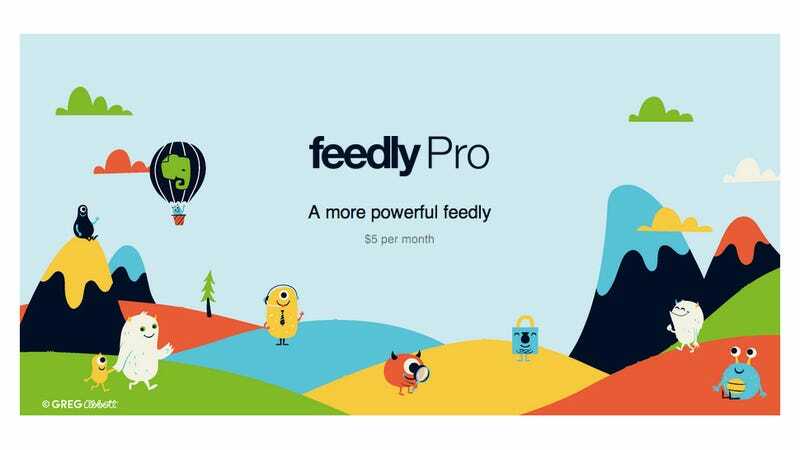 After years of serving up its services entirely for free, Feedly will now offer a "Pro" version—including many features you've come to expect for free. What do you get for that money? Maybe the most useful of the features is article search, which will allow you to sift through your feeds easier. Google Reader had a basic search tool, and it also currently exists in (paid) Feedly competitors like Reeder. And it's a very useful features. Other perks to a pro membership include Evernote support, and an Https security layer for safer browsing. Oh and premium support—for all those time you've ever felt like calling the help line. Honestly, we've never needed support with RSS, but OK! But...$5 per month? For an RSS reader? Before you know it, we'll be paying for a subscription for everything. Does it seem worth it to you?